Where do you order your notary supplies? Does anyone have a go-to website where you order your supplies? It would be great if we can share a low cost solution to stamps and other essentials. Additionally, I use Staples online and have them ship to my Staples home town store where I pick up the products with no shipping. I'm trying out a new company this week for toner and drums (paper when I need some) and they called me the other day. Rusty at SourceRite* rusty@sourcerite-gsa.com and they are a "Disabled Veteran Owned Small Business" which matters to me. Their paper prices are the best that I've seen so far and their toner and drum prices are a littler higher than Amazon and I'm sick of Amazon's vendors messed up products when it comes to toner and drums. I've burned through 4-5 lately that I just had to throw away that were defective and I've not slowed down long enough to send a second complaint. Plus I lost two appointments due to this = $270.00. I hope that this helps and I'm a full time notary signing agent and I use a lot of these three products. I use www.suppliesoutlet.com. They have great prices on the toner. I have the Brother HL-5470DWT which I can get 5 compatible toner cartridges for $84.99 which work great. 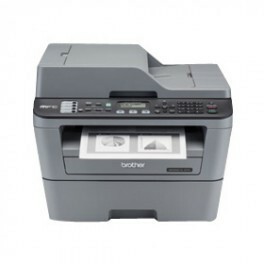 @ep2009 I would recommend Brother MFCL-2700DW its all in one prinet pluse it has wireless support, so you can print from your mobile and tablet. For toner I use 123injet.com it's the same company as LDproducts.com There are always coupons and I get re-manufactured toners cheap. I also refill those cartridges with toner to save even more. I utilize Staples for my paper. Purchasing ltr paper first and using my rewards $$ and rebates to purchase legal size paper.